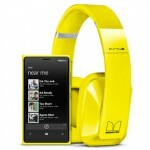 Today Nokia announced the latest addition to the Lumia series of phones and it sure does look impressive so far. 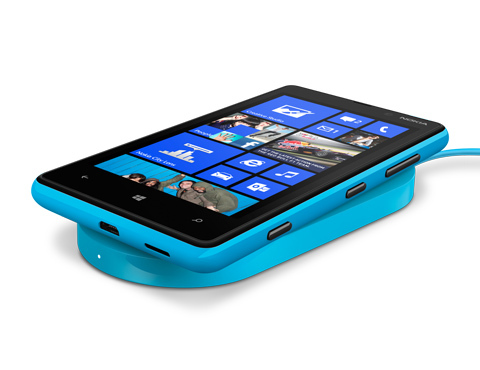 I personally am already a fan of the current generation Windows Phone OS and can hardly wait to get my hands on this new line of phones running WP8. 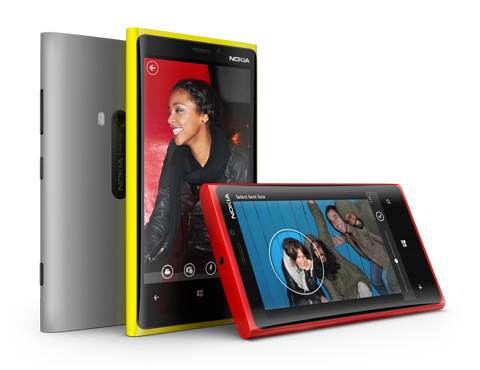 The new Nokia Lumia 920 is a 4G LTE phone powered by the 1.5GHz Dual Core Snapdragon S4 processor. It comes equipped with a 4.5-inch curved glass display, blur-free scrolling and a super-fast refresh rate courtesy of the PureMotion HD+ technology Nokia has pioneered for these new phones. Another impressive part of this screen is the touch sensitivity. It allows for people to use the touchscreen with their fingers, nails, gloves, or even their keys all while having scratch resistant Gorilla Glass. It also sports an 8.7 megapixel PureView camera that has some impressive optical image stabilization (see the YouTube playlist below to see a demo.) Lastly the battery to power this device is an impressive 2000 mAh battery. 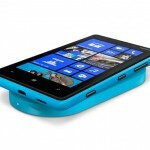 The Nokia Lumia 820 is the second WP8 device from Nokia that comes with a 4.3-inch screen and the same 1.5GHz Dual Core Snapdragon S4 processor. 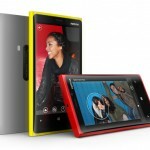 Besides the smaller screen size, the Lumia 820 also lacks the higher resolution camera and a smaller 1650 mAh battery. Also besides the new phones, they also announced several impressive new apps for these phones. 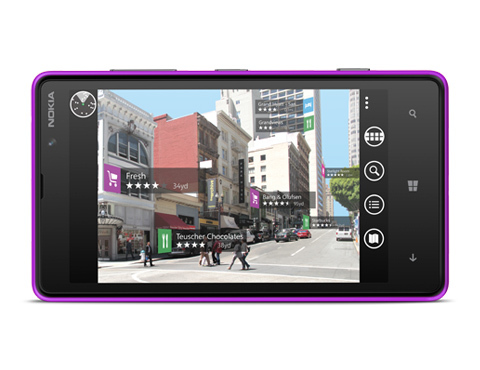 Nokia City Lens allows for you to simply point your camera at a location and see what user reviews are for this location, or if there is a friend who recommends this place. 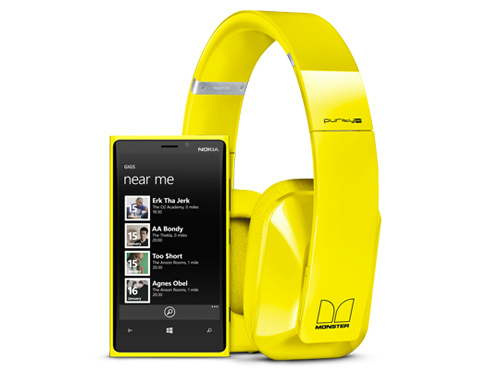 Nokia Music is a free music streaming service that comes with all new Lumia devices, no subscription needed. Lastly the Smart Shoot app allows you to choose between several different shots and combine the best elements of each picture, always getting the picture where everyone is smiling or removing unwanted elements from the picture with ease. 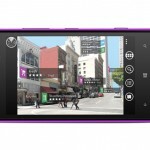 This entry was posted by John Jones on September 5, 2012 at 1:01 PM, and is filed under Blog. Follow any responses to this post through RSS 2.0. You can leave a response or trackback from your own site.